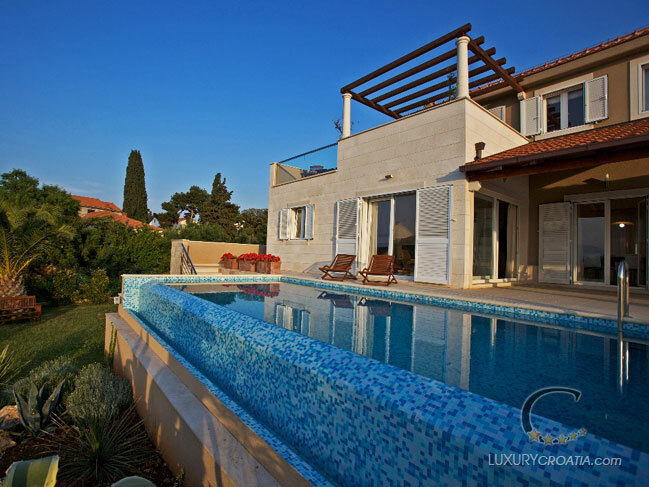 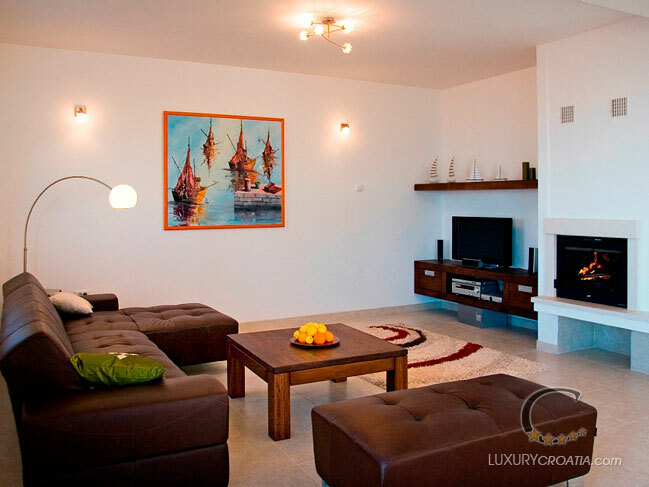 Modern holiday luxury villa with pool and sea view in Supetar Brač island Croatia This elegantly designed 5 bedroom 5 star holiday villa with pool located in the coastal village of Mirca on Brac consists of a main villa and guest annex. 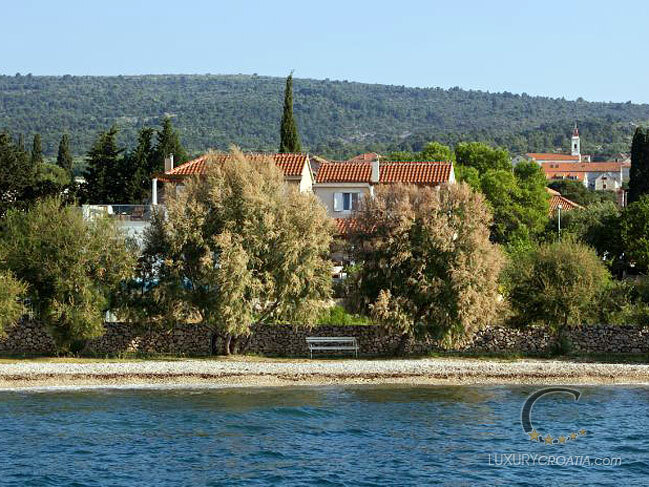 The Brač villa can accommodate 10 to 12 persons in 5 bedrooms and is equipped to provide maximum comfort and relaxation on your holiday. 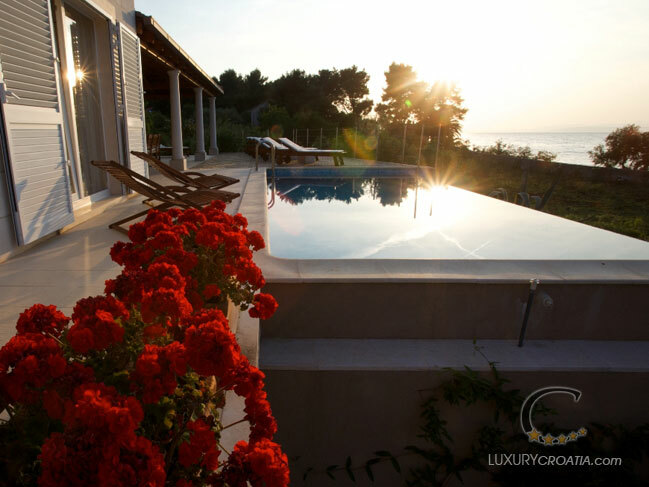 This Dalmatian villa is situated on the island of Brač, in small fisherman's village, just few meters away from the sea and is surrounded with 250m2 of terraces with view on the sea and channel between the island and Split coast. 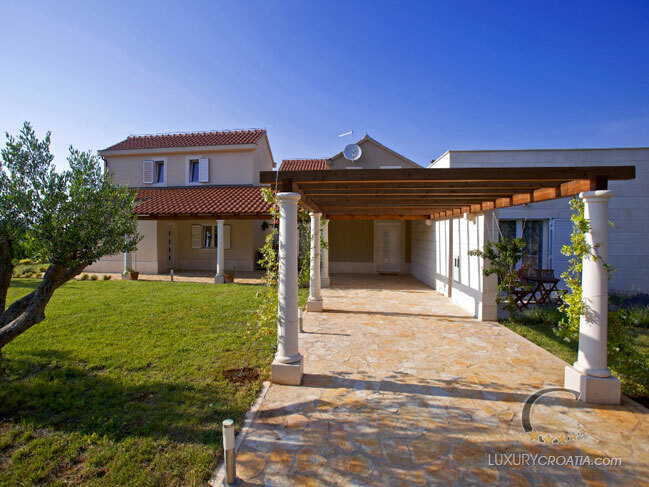 Villa stretches on 330 m2 of exquisitely decorated interior with 5 bedrooms, 6 bathrooms, extra toilet with a laundry, spacious living room, dining room and kitchen and an additional small kitchen with living room. 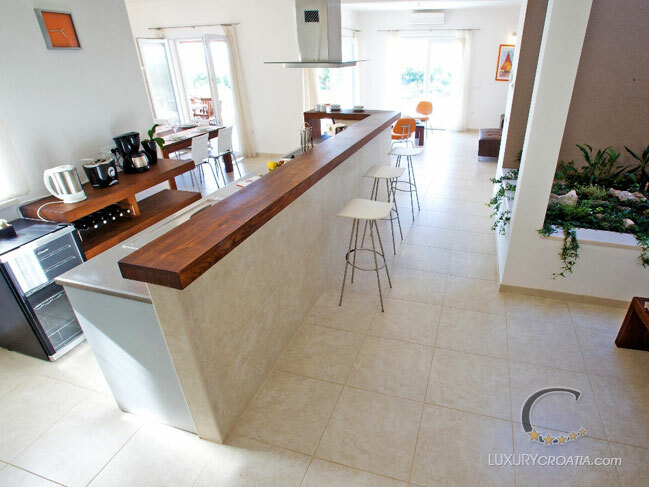 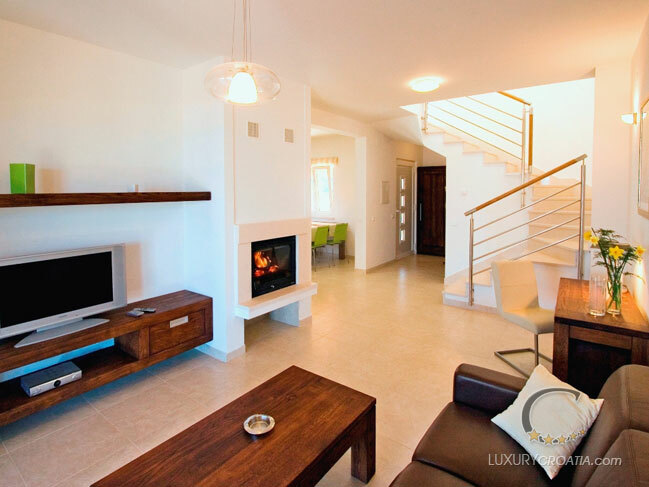 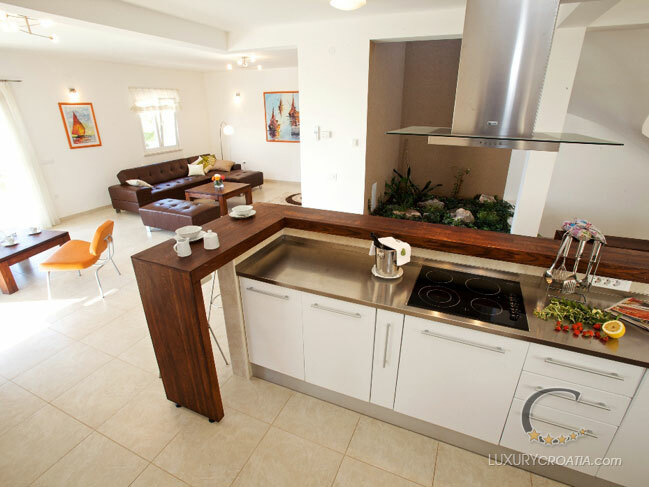 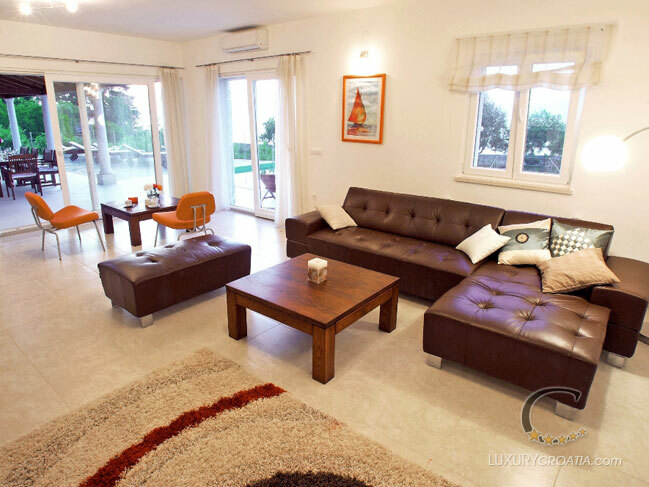 Small kitchen and living room, together with one of the bedrooms and 2 bathrooms are in separate part of the villa with a separate entrance, but connected with the bigger part with porches and terraces. 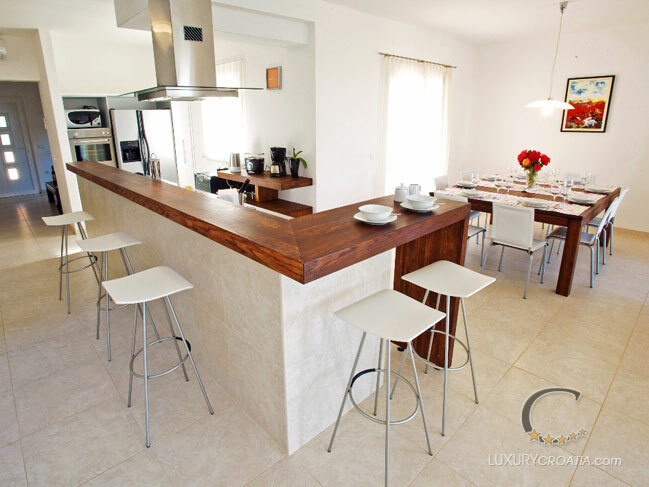 Both kitchens are fully equipped, as well as the living rooms with LCD TVs and fireplaces. 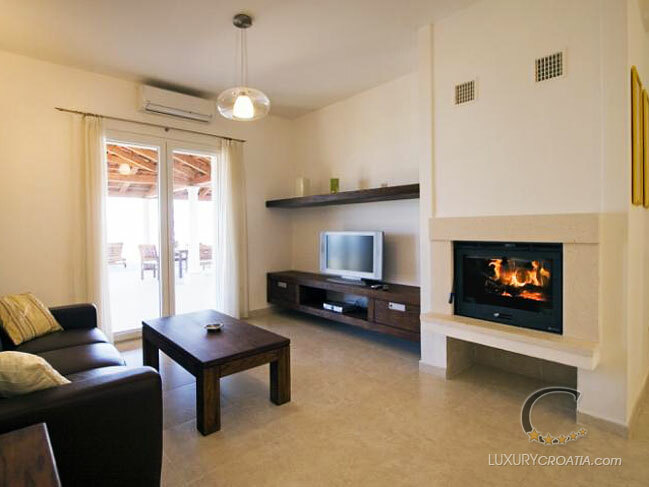 Furniture was specially designed for this villa and made out of quality oak wood with ecological oil finish, without harmful industrial polishes.25 m2 large master bedroom is on the first floor and it is the biggest bedroom in the villa. 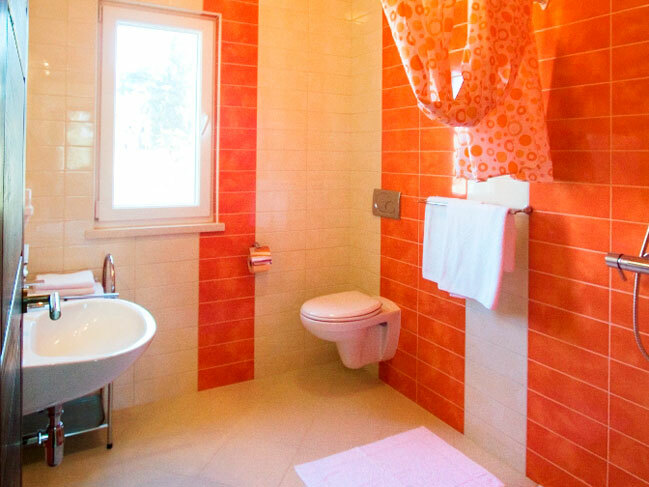 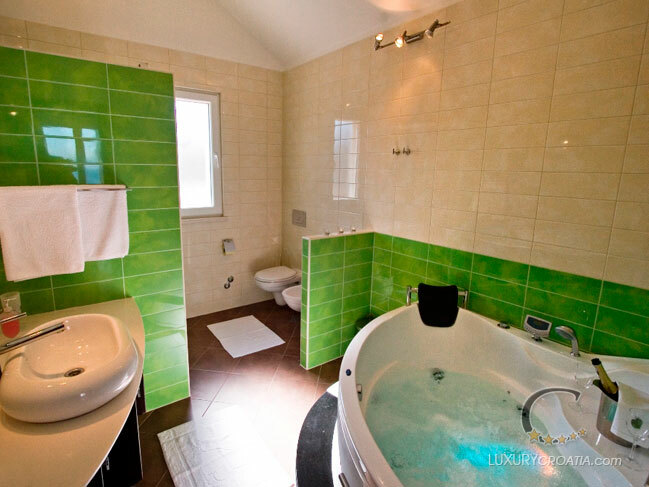 Next to the room is a big bathroom with a shower and jacuzzi bathtub for two. 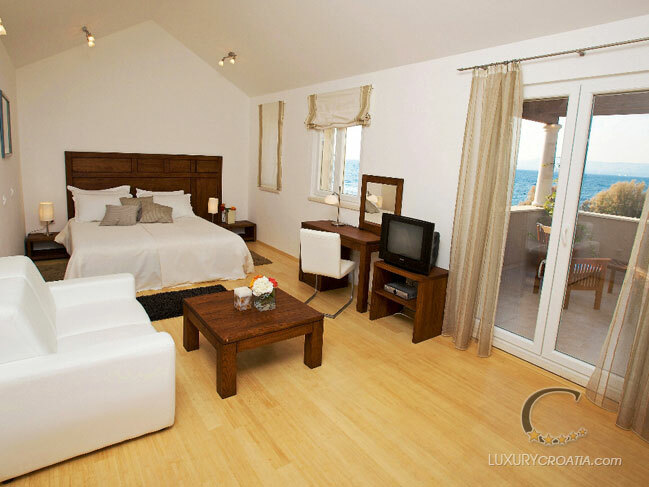 Master bedroom has direct exit to a huge first floor terrace with fantastic view of the cove, sea and Split in the distance. 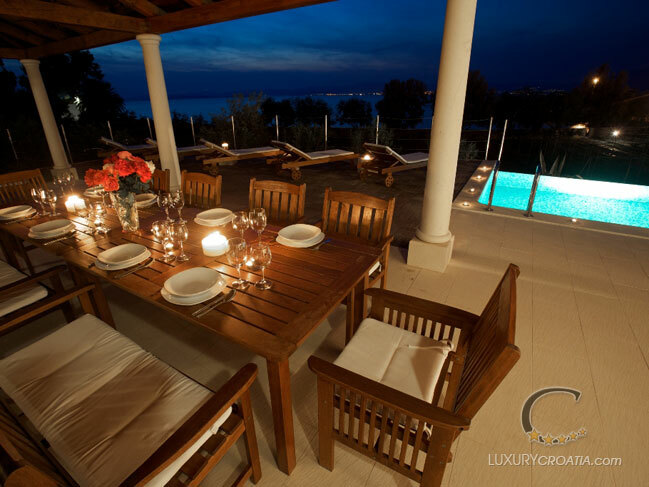 The Villa is surrounded by 250 m2 of terraces. 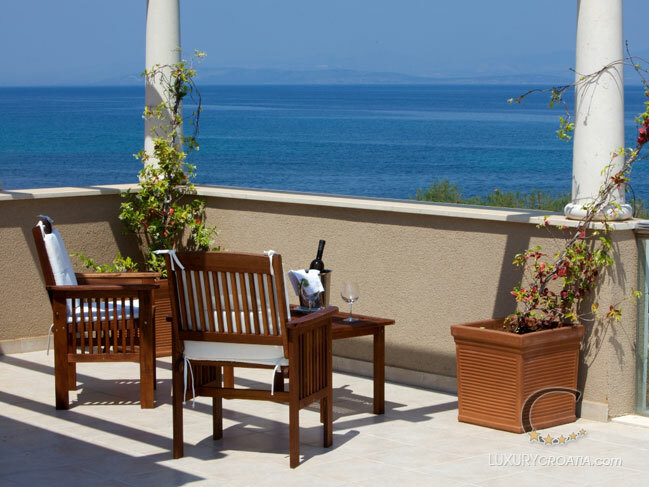 The large porch overlooking the sea, made on Brač stone columns, brings pleasant shade over the outside dining table. 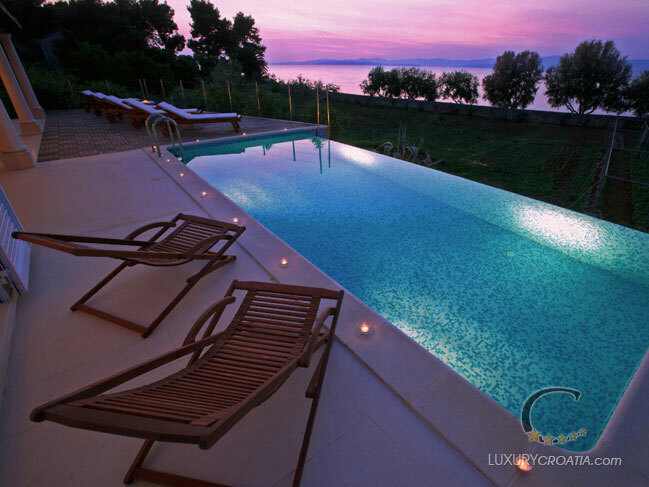 On the sea side is also the infinity swimming pool and the sun deck with 10 deck-chairs. 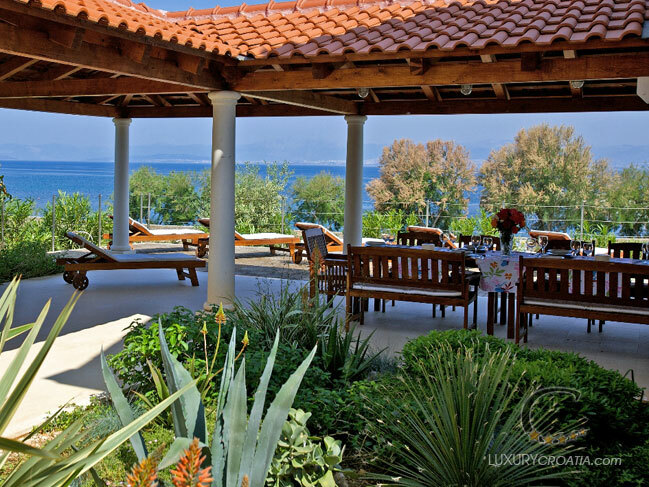 On the first floor is a big terrace of about 80 m2 that has the best view. 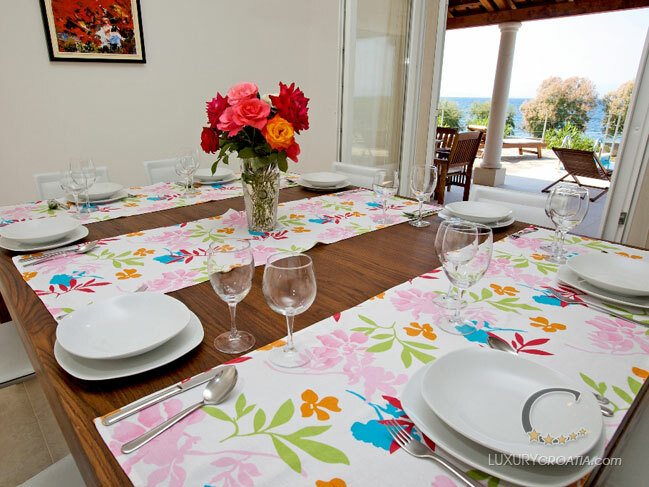 Besides this, there are 4 smaller terraces adjoining the rooms.